Today the Women and Equalities Select Committee have published their report, Building for Equality: Disability and the Built Environment, which we submitted evidence to in October. 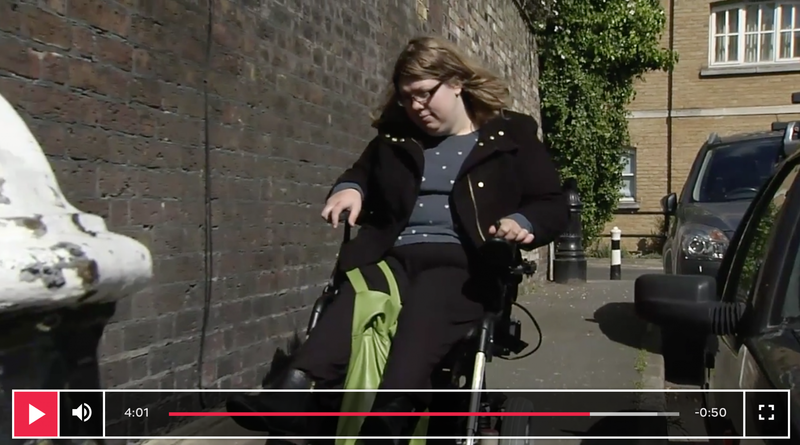 Inclusion London submitted evidence to the inquiry into Disability and the built environment by the Women and Equalities Select Committee in October. Zara Todd, our then Chair, gave verbal evidence to the Committee. Today the Women and Equalities Select Committee have published their report, Building for Equality: Disability and the Built Environment. Zara appeared on Channel 4 news to discuss the report and the state of the built environment in the UK today. Watch the report on Channel 4 here. Call for a halt to Oxford Street pedestrianisation! Lack of access for cars and buses due to pedestrianisation will make Oxford Street totally inaccessible for people who can only walk short distances. Many Disabled people were not aware of the consultation on Oxford Street becoming pedestrianised so could not raise their concerns. The Mayor has proposed changes to the way the public contacts the police to report crimes in the future. Inclusion London’s main concern regarding all the proposals is that they are accessible to Deaf and Disabled people. This is outlined in our response.